There a few vegan cheese brands that exist. Daiya just happens to be one of my favorite brands. I also think this particular brand is available in a variety of stores, rather than solely at the natural foods stores. Daiya makes block style cheddar cheese, shredded style cheddar cheese, and sliced cheddar cheese. I use this block style if I want to cut shapes or make a fun cheese and cracker plate for the kids. 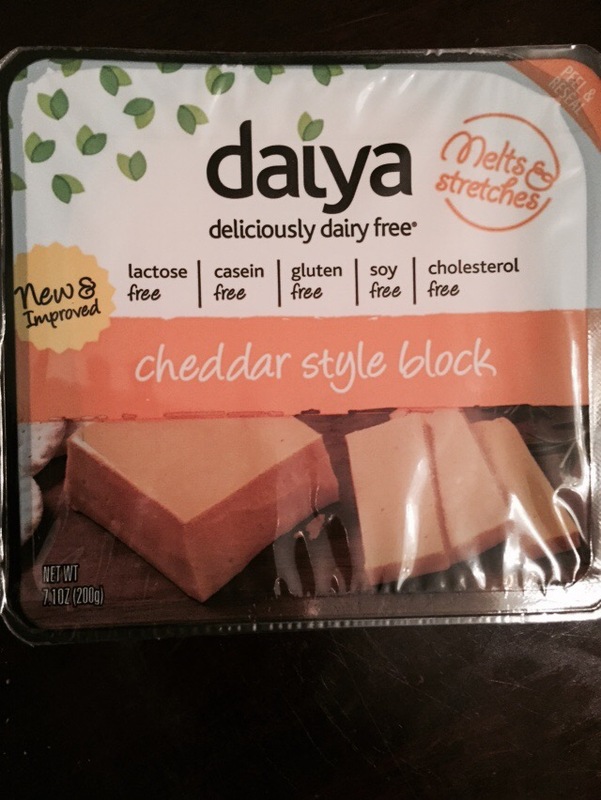 Either style of Daiya’s cheddar cheese melts nicely and tastes great for that dairy and nut free cheddar cheese craving.